For first-time drivers of the Indianapolis 500, an award exists that comes just short of the overall victory after 200 laps. Officially created in 1952, the Indy 500 Rookie of the Year Award recognizes the best achievements of drivers making their freshman run on the 2.5-mile oval. While many drivers have the chance the claim several Indianapolis 500 victories, rookie drivers have only one opportunity to contend for race honour. Jim Clark, Mario Andretti, Jackie Stewart and Parnelli Jones are former winners of the top rookie commendation in motorsports. Since Art Cross was recognized in 1952, the Rookie of the Year title has been a hotly contested honour at the Indianapolis Motor Speedway. For 61 years, there has been only one time in the 1979 Indy 500 where there was not a fight for the award for the best freshman driver. In fact, between 1991 and this year's planned running of the Indy 500, there have been only 2 years where fewer than 5 fielded competitors were eligible for the Rookie of the Year award. Voted by press throughout the month of May activity at the Indianapolis Motor Speedway before and during the Indy 500, the highest-finishing driver is not guaranteed the Rookie of the Year award. Last year, Brazilian driver Mario Romanchini finished 13th as the top rookie but the 2010 honours were given to popular Swiss rookie Simona de Silvestro. Though considered a barometer for future racing talent, the Rookie of the Year honours bestowed on a driver does not guarantee overall victory in the major race later in their career. Only 9 drivers winning the Indy 500 Rookie of the Year award would become Indy 500 champions. Nonetheless, rookie drivers would deeply crave the pleasure of joining names like Mario Andretti, Rick Mears, Juan-Pablo Montoya and Helio Castroneves who completed the feat. 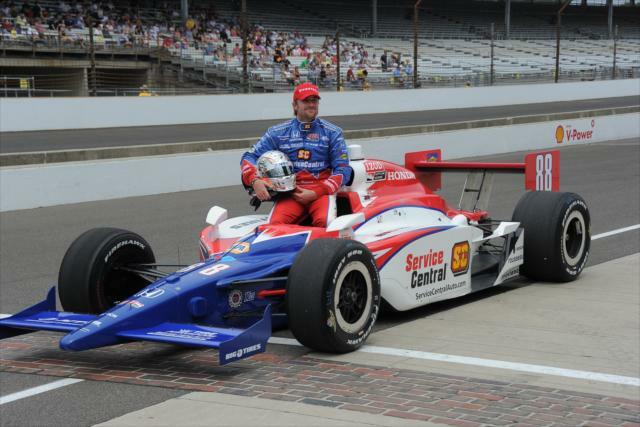 For 2011, five drivers are fielded within the 100th annual Indianapolis 500 in pursuit of the proud commendation. 2011 Indy 500 Prospect: Despite winning the Firestone Indy Lights title in 2009, JR Hildebrand was missed by INDYCAR teams for almost the entire 2010 season. Out of the 2011 Indy 500 rookie class, JR Hildebrand has the advantage of being one of only two drivers having raced in the full IZOD INDYCAR Series so far this season. Hildebrand's Panther Racing team has also finished 2nd in the previous two Indianapolis 500 events. 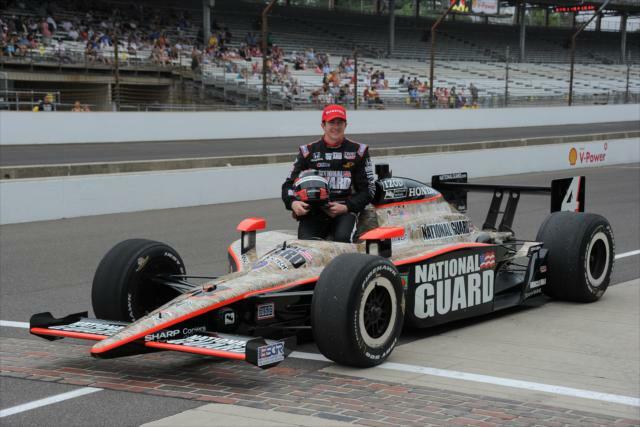 JR Hildebrand has a personal 2nd place finish at the track in 2009 after the Freedom 100. Career Highlight: 2010 Firestone Indy Lights Series Overall Runner-up winning 3 races. 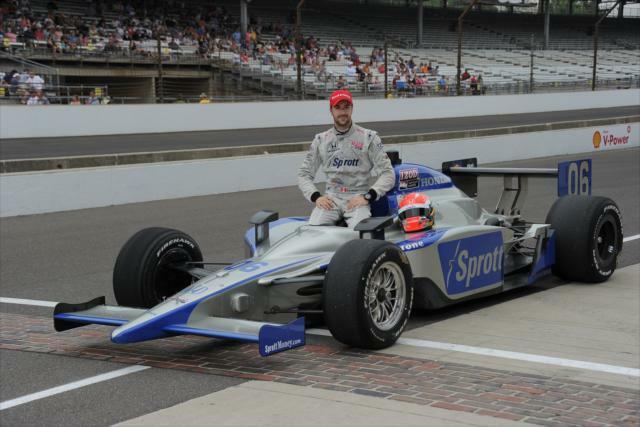 2011 Indy 500 Prospect: Missing the opening round of the 2011 IZOD INDYCAR Series his sponsorship with Newman/Haas Racing was being finalized, James Hinchcliffe has demonstrated hunger and determination. Joining the IZOD INDYCAR Series at the Barber Motorsports Park, Hinchcliffe went on to post the best rookie finish in the 2011 season so far with a 4th at the Grand Prix of Long Beach. Running twice in the Freedom 100 Firestone Indy Lights race at the Indianpolis Motor Speedway, Hinchcliffe recorded a highest finish of 3rd place. 2011 Indy 500 Prospect: Making his first Indianapolis 500 start in 2011, Jay Howard is the most experienced driver of all rookie contenders fielded in this year's Indy 500 on virtue of 9 IZOD INDYCAR Series starts. However, Howard's best finishes came in 2008 with a pair of 13th place efforts at Kansas Speedway and the Twin-Ring Motegi circuit in Japan. Howard drives for Rahal Letterman Lanigan Racing, a part-time team with winning history at Indianapolis Motor Speedway. In previous competition at the Indianapolis Motor Speed, Jay Howard finished 4th in a 2009 Freedom 100 race. 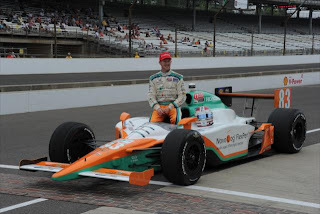 2011 Indy 500 Prospect: A rookie driver with a relatively rookie full-time IZOD INDYCAR Series team, Charlie Kimball earned a 10th place finish in only his second career race. Both entries of Kimball and Graham Rahal from the newly-established second Chip Ganassi Racing team have been struggling to find speed during practice and qualifying at the Indianapolis Motor Speedway. In last year's Firestone Freedom 100, Kimball achieved a runner-up spot after a hard-fought effort with race winner Wade Cunningham. 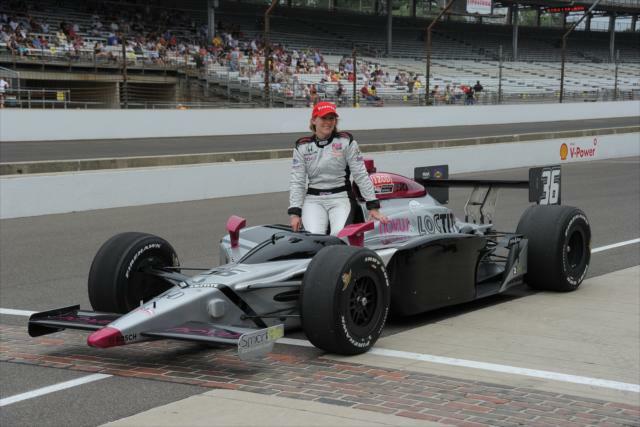 2011 Indy 500 Prospect: Pippa Mann became a definite force on oval race tracks last year on the Firestone Indy Lights tour winning at Kentucky Speedway and coming in a razor-thin 0.0159 seconds behind the victorious James Hinchcliffe at Chicagoland. In the 2009 and 2010 Indy 500, Mann's Conquest Racing team fielded rookie drivers resulting in the highest finishing position for first time drivers at the Brickyard. In most recent years at the Indy 500, female drivers have been very successful fighting for the race's Rookie of the Year title. Danica Patrick won in 2005 and Simona de Silvestro was the past Indy 500 Rookie of the year winner.